Our weekly updates on the official events attended by HSH Prince Albert II of Monaco. HSH Prince Albert II spent an evening in Basel (Switzerland). She is very involved in environmental terms including its wildlife gardens. The protection of the oceans was the focus of the third ever Zolli Bâle gala event, held at Zoo Basel on Saturday. The event was to discuss the ocean park which is planned for the Heuwaage area. Over 200 guests were invited to the gala and charity event which was organised by the zoo along with the Swiss branch of the Prince Albert II de Monaco Foundation and held in the zoo’s restaurant. The foundation, which celebrated its tenth anniversary in June, is actively engaged in environment protection and has supported 370 sustainable development projects globally. The guests at the gala included numerous donors as well as a delegation from Monaco and the foundation, led by S.A.S. Prince Albert II of Monaco. He was accompanied by his Excellency Bernard Fautrier, the vice-president of the foundation, and François Rumpf, president of the Swiss branch of the foundation. “I hope that this partnership with Zoo Basel will last for a long time,” Prince Albert said in his speech. The European Red Cross Small States members were in Monaco for a 2-day summit kicking off on Monday. HSH Prince Albert II (being the president of the Red Cross) was present to discuss with the director, Simon Missiri and other delegates, on the problematics and solutions to the current international issues: immigration, and how tope and deal with it in a humanitarian way. Pierre Casiraghi the skipper of the high-performance sailing vessel Malizia, made an appearance at the Monaco Yacht Club. His appearance was welcomed by lots of young kids, with whom he and his team could share his sailing passion as well as introduce them to his high-performance sailing vessel. 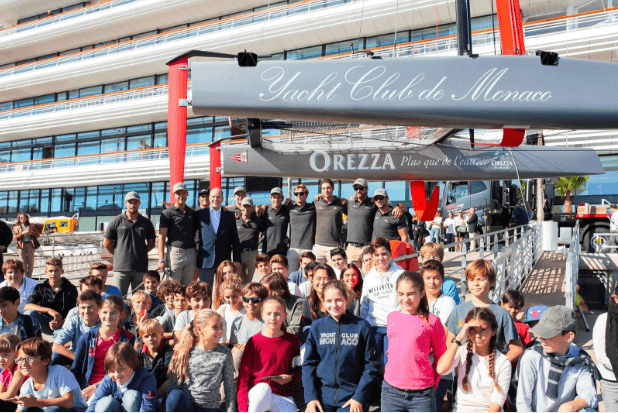 HSH Prince Albert II of Monaco could make an appearance yet again showing his untiring support to the yacht club, the sailing world and connecting with the younger generation. Prince Albert II attended the awards ceremony of the Prince Louis de Polignac Foundation, in the Simone and Cino del Duca Foundation salons in Paris. The award was given to Serge Rezvani, composer, writer and artist. This award is given to those who make a significant cultural contribution in Europe. This year was the 20th anniversary of the foundation, and the Prince Albert’s attendance is always important to him as the award is named after his God Father. This year, the World Championships took place in Monaco. 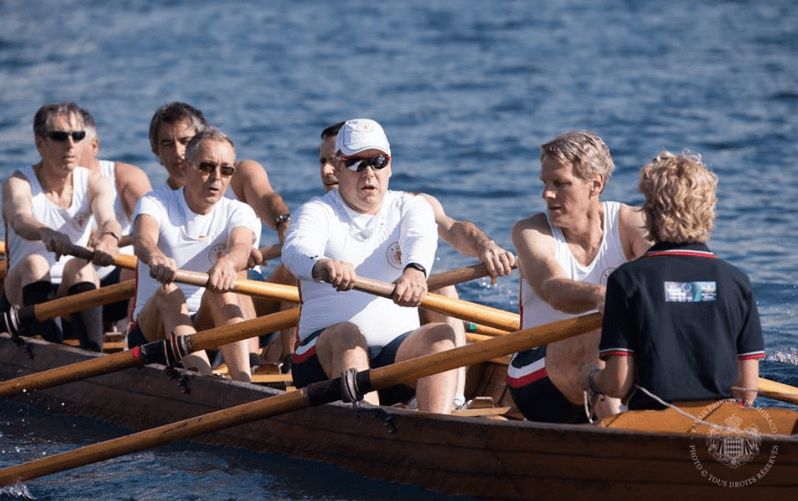 Under the patronage of HSH Prince Albert II of Monaco, the opening ceremony was held on Thursday at the Auditorium Rainier III, before the qualification races on Friday. The Prince has been a fervent support over the last years of the sea rowing championships. And last Saturday the Prince took part in the competition!